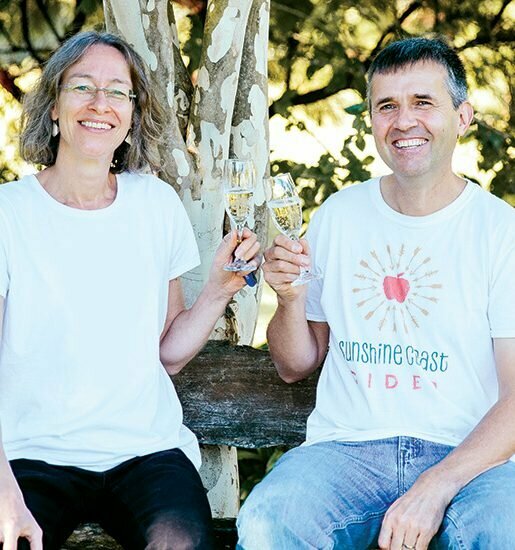 Hailing from a small town in England’s north-west, Norman and Kate Scott are pinching themselves that they’re now living in the stunning Sunshine Coast Hinterland. After two successful careers that took them around the world, the couple is relishing their newest challenge as owners of one of Maleny’s most delectable gelato businesses. Stepping through the wooden cafe doors in Maleny, your eyes can’t help but meet with the indulgent cabinet of gelati at the forefront of the counter, filled with sorbets and ice-cream laced with chocolates and sauces interwoven into the soft curves of the dairy-base. Kate and Norman Scott have truly immersed themselves into the cosmos of gelati creation. She is a self-proclaimed nomad. Her husband, a driven and successful business consultant. Upon completing her accounting degree, she started applying for jobs across the globe, landed a position in Brisbane and the pair relocated to Australia. With a background in business consultation and a clear drive for success, Norman quickly ascended the ranks of the international company he was working for. After more than a decade consulting for some of Australia’s leading organisations, another overseas opportunity arose and the Scotts packed up their growing family and headed to south-east Asia. Kate, delightedly spent the time in Singapore raising daughters, Emma and Sara. “We’ve got two children and at that stage I was a full-time mum, so it suited me just fine. The girls went to the Australian international school and I had a blissful few years as a stay-at-home mum, which was great,” she says. As the girls grew older, Kate’s desire to rejoin the workforce motivated the couple to start hunting for new business opportunities. A foundation that has won numerous national prizes and positioned Colin James gelati as one of Australia’s most desired sweet treats. A product that both Norman and Kate quickly learnt to create themselves. Norman and Kate’s vision for Colin James’ business is expansive. Their motivation, however, remains local. 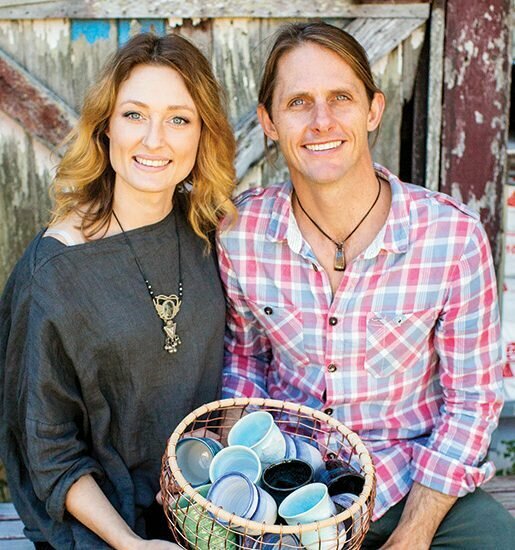 The couple’s hearts for the Maleny community is obvious in every element of their planning for the future and it’s the people behind the brand that they’re most invested in. Two years at the helm and many more to come, the Scotts have found their niche once again in a small Hinterland town. Despite years spent trotting the globe with massive corporations, they find their home in the peace of a local community. As our interview draws to a close and I say my farewells to the hard-working couple, I can’t help but glance longingly at the glistening gelati cabinet. “Would you like one?” Norman offers, and I grin, as I spot my favourite flavour. Each mouthful more delicious than the last. Their gelato certainly hits the sweet spot.